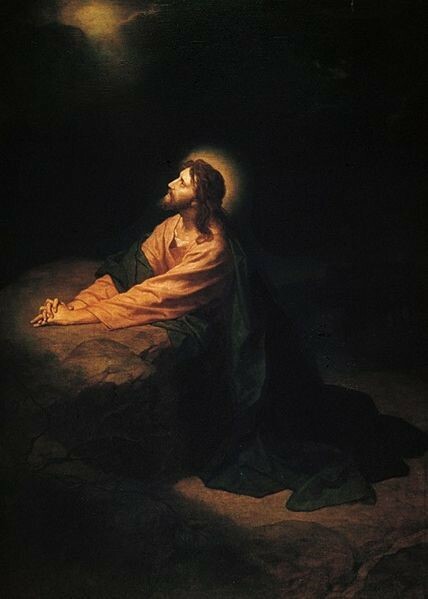 Aitchison has been painting the subject of the Crucifixion all his professional life. 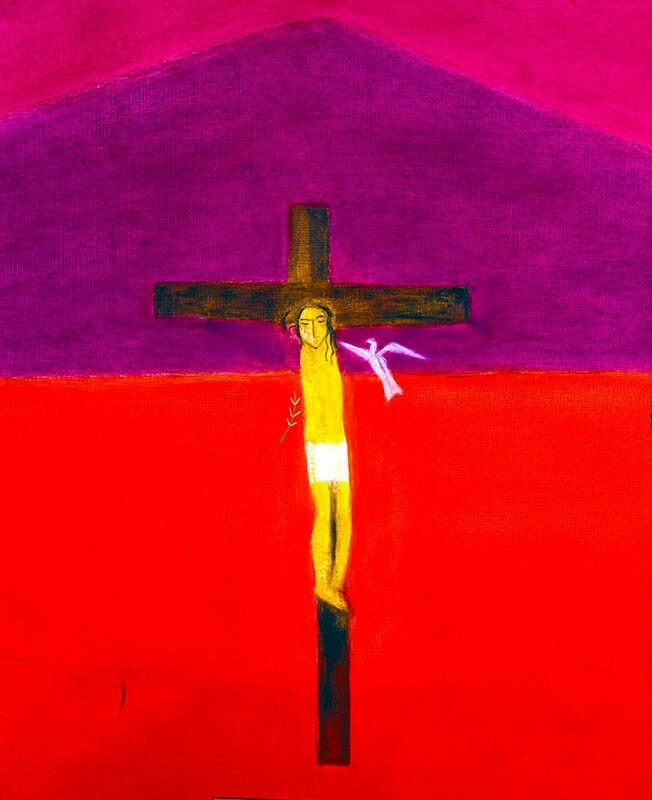 His first one man show in 1958 contained a small painting of the crucified Christ attended by two angels, with a landscape background divided, as here, into coloured bands. 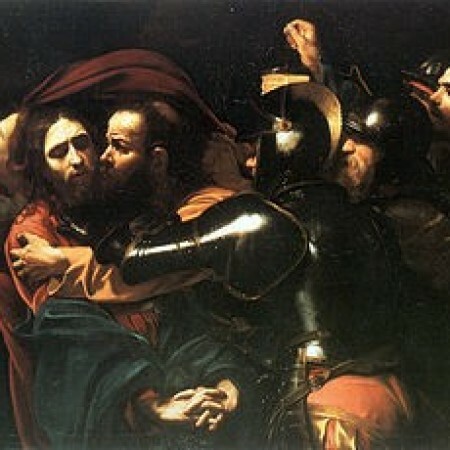 Aitcheson takes again the subject of the Crucifixion and renews it with his own deep and intense emotions by means of shape and colour. 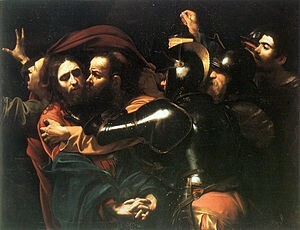 Sometimes the figure of Christ has arms but usually he is armless, as in this picture. Aitchison has said ‘Everybody knows who he is. He doesn’t need arms’.